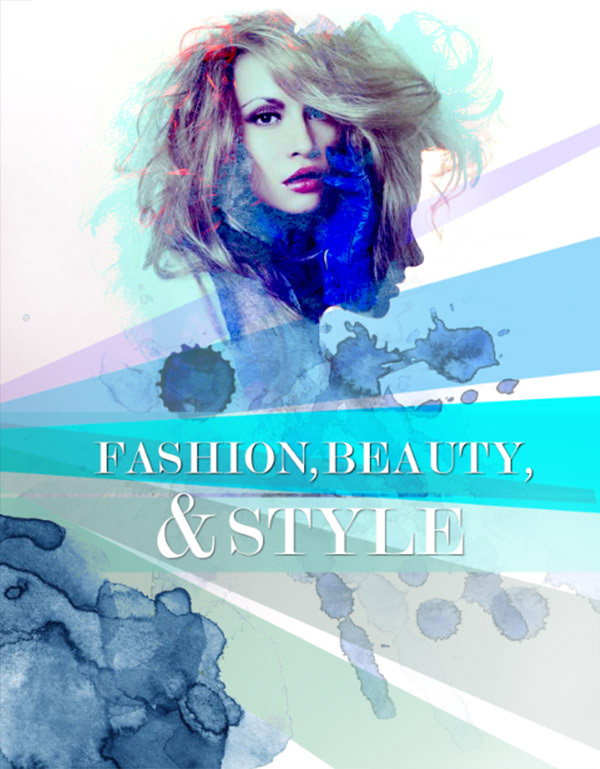 In today’s tutorial you’ll learn how to create a fashion poster perfect for any event. 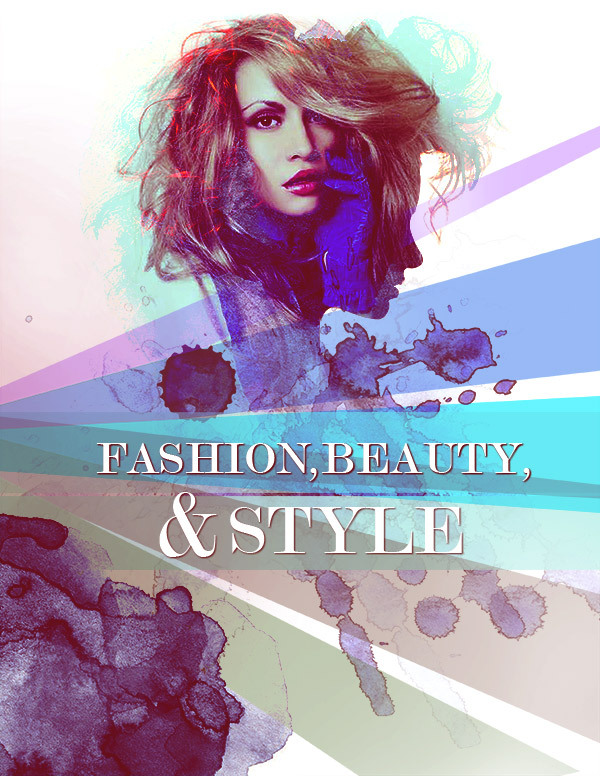 The techniques covered include creating a collage of photos and applying simple layer adjustment for a dynamic yet easy effect! Let’s begin! Open up Photoshop and set your document to 8.5 by 11 inches. 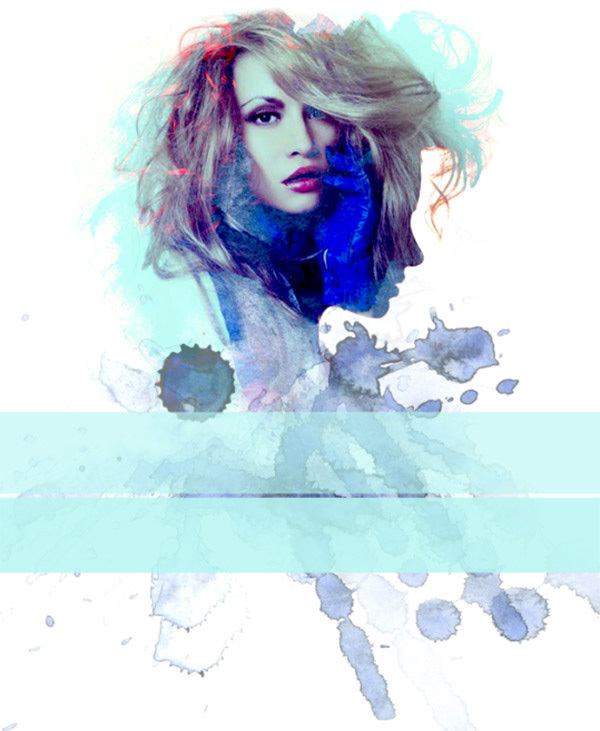 Copy and paste your reference of a fashionable blond woman onto the canvas and position it towards the center . Copy and paste the more rounded watercolor reference onto the canvas. Set the layer to Lighten and bring down the Opacity to 80%. Position the watercolor texture around the woman’s head. On a new layer, use the Brush Tool (B) to paint the color white over any parts of the original reference that still show through. Now copy and paste the Mohawk head reference onto the canvas. Free Transform (Control-T) to resize and set the layer to Lighten. 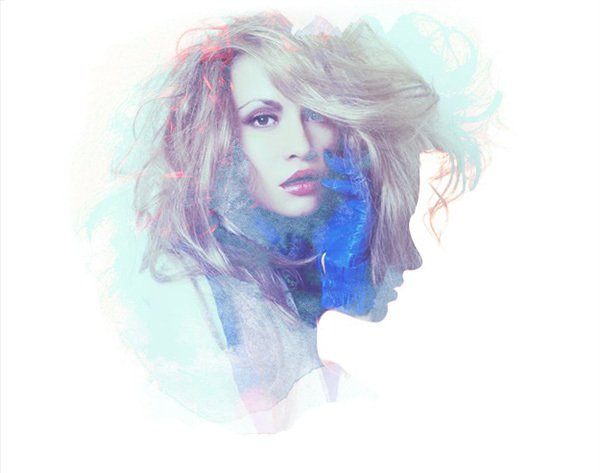 Position the hairstyle reference over the blond woman to create a cool silhouette effect. Add a New Adjustment Layer for Levels. Set the settings at: Shadows to 27, Midtones to 0.54, and Highlights to 255.Create another New Adjustment Layer for Exposure. Set the Exposure to +0.25, the Offset to -0.0523, and the Gamma Correction to 1.00. Use the Rectangle Tool (U) to create two long light blue (#bbf2f2) rectangles across the paint splatter. 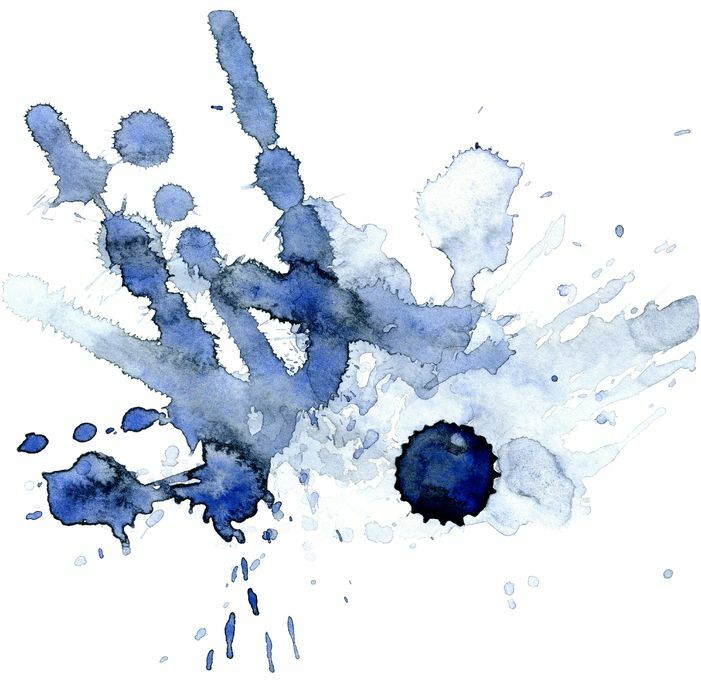 Adjust the Opacity to 70% to let the splatter show through a little. 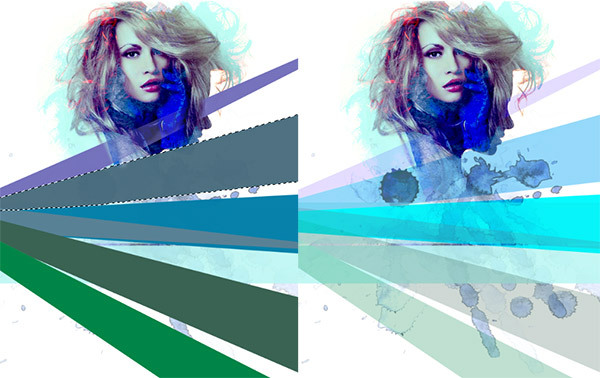 Use the Lasso Tool (L) to create long diagonal stripes and fill them with different colors. 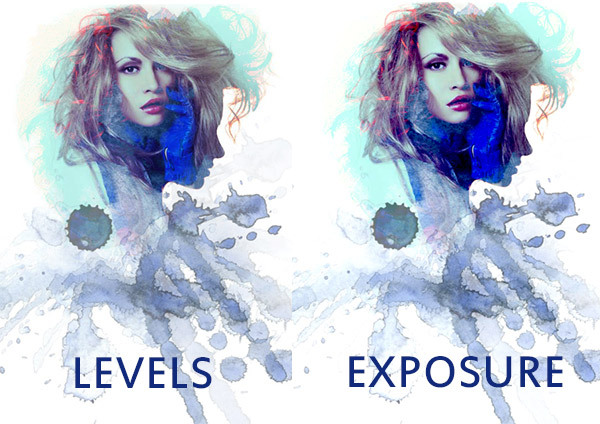 Keep the colors in the general blue range and set the layer to Hard Light, bringing down the Opacity to 90%. Add text to the poster. I used the font Modern No. 20 at various sizes (48 and 72pt). Right-click and select Blending Options to add a Drop Shadow with both the Distance and the Size set to 5 pixels. 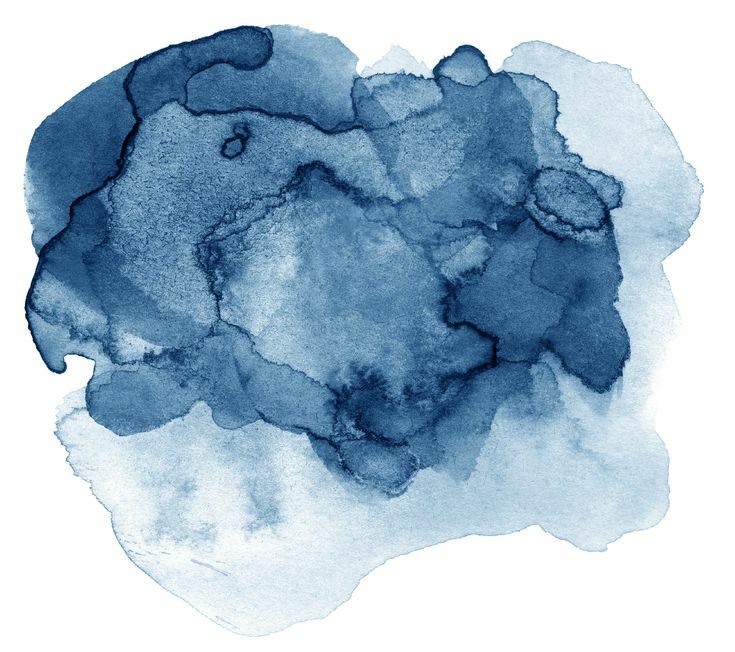 Copy and paste the original round watercolor reference and set it to Darken. Position it towards the bottom left side to anchor the composition. Use the Brush Tool (B) to lightly paint a soft red color on the left side of the poster for even more balance. Last but not least add another Levels layer. Set the Shadows to 43, the Midtones to 0.62, and the Highlights to 255. Finish off by filling a new layer with a bright red color (#ff2539) set to Lighten with an Opacity of 40%. And that’s it! 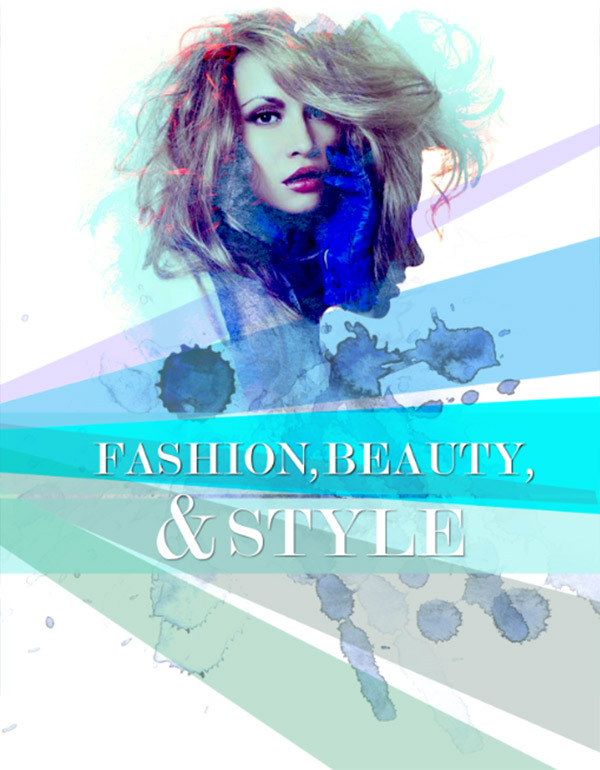 I hope you’ve enjoyed creating this poster perfect for any fashionista! Good luck creating your own!